We’ve previously covered (and recommended) the Southwest Plus and Southwest Premier cards, but Chase and Southwest’s newest collaboration, the Priority card, looks like the best option yet for frequent Southwest fliers. Like Southwest’s other consumer credit cards, you’ll get 40,000 Southwest Rapid Rewards points after spending $1,000 in your first three months. 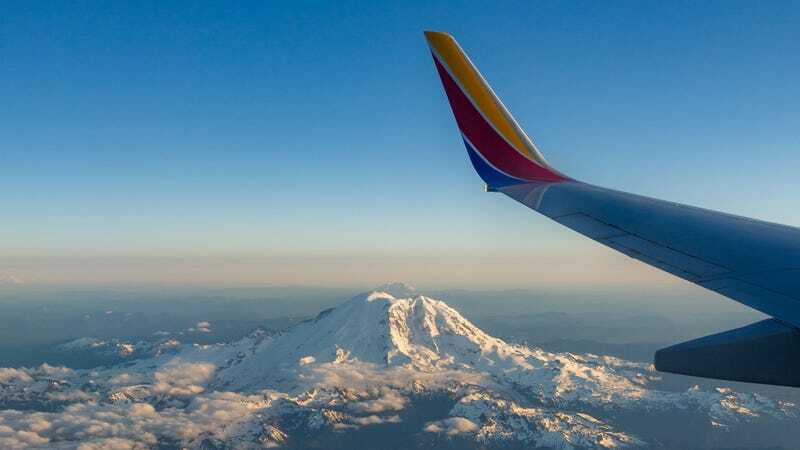 Southwest uses a revenue-based award system, meaning you can book any ticket with points, usually for around 1.5 cents per point (though it varies). That means this welcome bonus is worth roughly $600 in travel. All purchases with the Priority card will earn you one point per dollar. But disappointingly, the only bonus category available is Southwest purchases, which will net you two points, the same as Southwest’s lower tier cards. If you have a Sapphire Preferred (two Ultimate Rewards points per dollar spent on travel) or Reserve (three points), you should continue to use those cards for most Southwest purchases, since you can transfer the points to Southwest, plus a host of other loyalty programs. You’ll effectively get half of your $149 annual fee back in the form of an annual $75 Southwest travel credit that you can use towards tickets. Just book any flight with your card, and the credit will be deducted from your statement automatically. This immediately makes the Priority card a better value proposition than the $99/year Premier, which doesn’t include a travel credit of any kind. Once you’re at the airport, you can also take advantage of four priority boarding credits per year. If your flight has any A1-15 boarding positions available for upgrades, you can pay for them at the gate with your Priority card, and you’ll get the cost (usually $30-$50 per ticket) reimbursed automatically with a statement credit on your cardmember anniversary. Onboard your flight, you’ll get 20% back on in-flight purchases like drinks, Wi-Fi, and streaming movies. That’s not a huge benefit, but it’s something that Southwest’s other cards don’t offer. And finally, on your cardmember anniversary, you’ll get a bonus 7,500 Southwest Rapid Rewards points added to your account, compared to 6,000 for the Premier and 3,000 for the Plus. At a value of roughly 1.5 cents per point, that’s worth about $112 in Southwest travel. Combine that with your annual travel credit and other benefits, and you should easily come out ahead of the annual fee, something that can’t quite be said for the airline’s other cards. Southwest’s Companion Pass is one of the most lucrative perks in the airline industry, allowing you to bring a designated companion with you on any Southwest flight for free (other than taxes and fees) for the remainder of the calendar year in which you earned it, plus the entire following calendar year. You’ll need to earn 110,000 qualifying points to earn it, but all 40,000 points of the Priority’s signup bonus will count, getting you over a third of the way there. Just remember that the counter resets every year on January 1, so plan accordingly. Every $10,000 of spend you put on the card will also net you 1,500 tier qualifying points, which can inch you closer to A-List (35,000 points) or A-List Preferred (70,000 points). A-List benefits are really pretty mediocre though, so I wouldn’t use this card to chase status, unless you’re very close already. If you fly Southwest more than a couple of times per year, and if you’re eligible for the sign-up bonus (you can’t currently hold a Southwest consumer credit card, and you can’t have received a Southwest signup bonus in the last 24 months), this card seems like a no-brainer. The annual fee is fairly low, and is more than wiped out by easy-to-redeem credits and your anniversary points bonus. Even if you stop using the card after spending your first $1,000 (save for a $75+ Southwest purchase to use your annual credit, plus upgrades and in-flight purchases), it’s worth it for the perks alone.